Faculties of Law and Canon Law, University of Navarra, Pamplona. Separation consists in the suspension of conjugal rights and obligations, although the bond remains. It is an undesirable situation, but it may constitute a remedy for circumstances that are extremely harmful for the spouses or their offspring. Can. 1151 —- Spouses have the obligation and the right to maintain their common conjugal life, unless a lawful reason excuses them. Separation does not only involve suspension of common life and of the duty of the spouses to live together, but also entails the suspension of conjugal rights and obligations in general, with the exception of certain aspects; however, the most typical element, and that in which the state of marriage is most clearly shown as separation, is the suspension of common life and conjugal cohabitation. 5) They must strive after the material and spiritual good of their offspring. Reasons for separation, therefore, are those actions that seriously damage any of these principles. Consequently, the reasons for separation may be reduced to these four headings: adultery, grave bodily harm to the spouse or children, grave spiritual harm to the spouse or children, desertion. Can. 1153 — §1. A spouse who occasions grave danger of soul or body to the other or to the children, or otherwise makes the common life unduly difficult, provides the other spouse with a lawful reason to leave, either by a decree of the local Ordinary or, if there is danger in delay, even on his or her own authority. 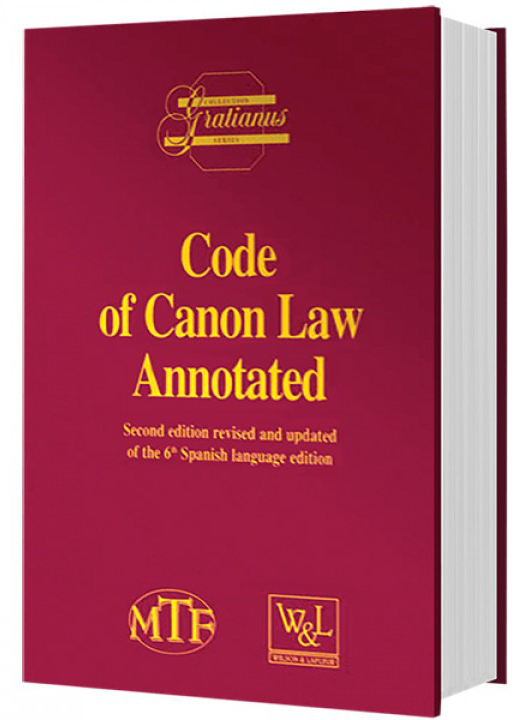 1153 — This canon contains the reasons for temporary separation, that is separation which lasts as long as the reason for it endures. Canon 1131 of the CIC/17 [see Note below] specified these reasons; in contrast, the present law establishes generic types. It has bean widely discussed in recent years whether it is sufficient that the reasons for separation constitute a danger, or whether it is necessary that this danger should be of culpable origin, as prescribed in common doctrine. A distinction should be made between separation, which suspends conjugal rights and obligations, and the fact that the spouses no longer live together. Indeed, blameless danger is sufficient for there to be no obligation to cohabit; more so, there can be an obligation to not cohabit; e.g., in cases of very contagious grave illnesses, aggressive insanity, etc. Nevertheless, the fact that the spouses do not live together is not equal to de iure separation, i.e., a suspension of conjugal rights and obligations. Blameless, unhappy situations not only fail to constitute reason for suspension of the right and obligation to common life in its sense of solidarity and of sharing, but they also represent cases in which one of the ends of marriage, mutual assistance, must manifest itself in all its width and depth. It is not is the hands of the spouse nor in the power of human judges to suspend an obligation of natural law which has been imposed not only for favorable times, but also for the difficult and painful circumstances of life, when help is most needed from the person who is of the same flesh as the one suffering the misfortune (“[…] to have and to hold, from this day forward, for better, for worse, for richer, for poorer, in sickness and in health […]” Rite of Marriage 25). In order for the separation to be juridically effective and thus suspend conjugal rights and obligations as well as the objective of mutual assistance, the situations opposed to conjugal life must be culpable, because only guilt breaks the obligation of the other party and one’s own right. Of course, the spouse who is the cause of the problem refuses without good reason to cease cohabiting; his or her conduct is in itself a form of culpability. Can. 1505 — § 1. Once he has satisfied himself that the matter is within his competence and the plaintiff has the right to stand before the court, the sole judge, or the presiding judge of a collegiate tribunal, must as soon as possible by his decree either admit or reject the petition. 4° it is certainly clear from the petition that the plea lacks any foundation, and that there is no possibility that a foundation will emerge from a process. § 3 If a petition has been rejected by reason of defects which can be§ 3 If a petition has been rejected by reason of defects which can be corrected, the plaintiff can draw up a new petition correctly and present it again to the same judge. § 4. A party is always entitled, within ten canonical days, to have recourse, based upon stated reasons, against the rejection of a petition. This recourse is to be made either to the tribunal of appeal or, if the petition was rejected by the presiding judge, to the collegiate tribunal. A question of rejection is to be determined with maximum expedition. In comparison to c. 1709 of the CICI17 , there is an important innovation in § 2, 4°, of the CICI83, which is in the best canonical tradition. It requires that the petition have the semblance of a well-founded right — the furnus Boni iuris requirement — which was not stated but merely implied in the CICI17 , but later specified in the Instr. Provida mater Ecciesia 64. Finally, if a petition is rejected, recourse may be lodged within ten ca­nonical days to the tribunal (or to the college, if the petition was rejected by a de­cree of the presiding judge of the collegiate tribunal) and is to be decided as quickly as possible (“expeditissime”), without the need to consult the parties, whether public or private, and without the possibility of any subsequent re­course, whatever the new decision may be. Jurisprudence admits the mstitutio in integrurn against the unappealable decree rejecting the petition (c. Bruno, deer., 23-05-1986, Studio Rotale 2  99-105). In the Catholic Code of Canon Law, a spouse does not have the right, nor does a priest have the authority to give anyone permission to permanently separate.